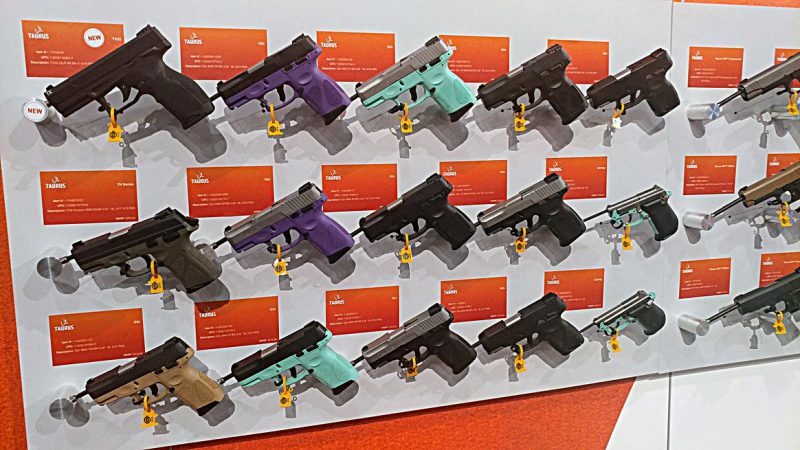 Walking through SHOT Show, it was hard to miss the Taurus booth. Bright orange and white, super clean and sleek. The booth was well-organized with friendly reps eager to talk to those wandering through. Best of all, they had wall upon wall of guns; easy to identify and ample opportunity to handle every one of them. I stopped in last week and was surprised to see Taurus had introduced two new firearms. One predictable; the other, a surprise. 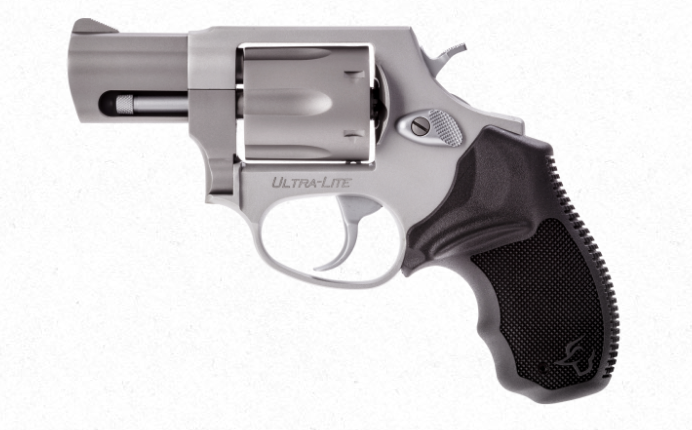 The first gun that is somewhat simple to imagine Taurus producing is the new 856. However, the 856 stuck up on me. I was handling it, dry firing it, and digging the new cool colors. I found myself asking what exactly the difference between this gun and the normal model 85 was. Well, the name gives it away. The 856 is a small, snub nose, J-frame revolver just like the Model 85, but it holds six shots. I didn’t notice this right away because it felt and looked like the Model 85, although it's technically a hair lighter. 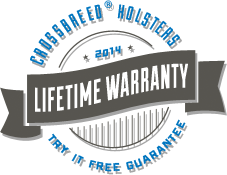 The standard Model 85 is 22.2 ounces while the 856 is 22.1 ounces. The ultra-light model is only 15.7 ounces, which is 2 ounces lighter than the Model 85 ultralight. A six shot J-frame revolver is a classy little gun for concealed carry and Taurus is going to offer them in a variety of colors, including Azure, Rouge, Burnt Orange, and Bronze. Each of those colors will have a choice of either a stainless barrel and cylinder or a black barrel and cylinder. The grip is just big enough to fit my hand and is made from the Taurus brand soft molded rubber. 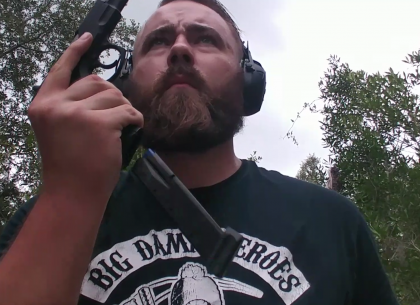 The trigger is solid and the gun feels tight. Taurus has made rimfire guns before but the new TX22 is a full-sized handgun that uses a flush fitting 16 round double stack magazine. A double stack 22 magazine is tricky to make. I haven’t gotten the opportunity to shoot this gun, but I want to. The TX22 is very similar to any other full sized polymer handgun. The design replicates a modern full sized pistol. It’s even striker-fired. The gun has adjustable sights that are G2 compatible. The barrel is threaded and but the thread is hidden. It comes with an adapter to allow it to accommodate a 1/2x28 thread for use with common suppressors. The trigger itself is surprisingly nice. It utilizes the Taurus Pittman Trigger System, a single-action, striker-fired design that provides a short, 5-pound trigger pull to release the sear. A short, spring-assisted trigger reset provides increased trigger control and a tactile reset. It's very light and smooth, and the reset itself is brilliant and very short. The gun features a short pic rail for attaching accessories and comes with two magazines. Individually, the magazines will cost a hair over 20 bucks. Best of all, the gun has an MSRP of only $349.99. Both guns are interesting and while I love revolvers, the TX22 has definitely caught my attention. It looks to be an excellent training gun and perfect for teaching kids and new shooters. The slide can even be manipulated while the frame safety is in place. Both appear to be great little guns, and we'll keep you posted when we get them in for T&E in the weeks to come. 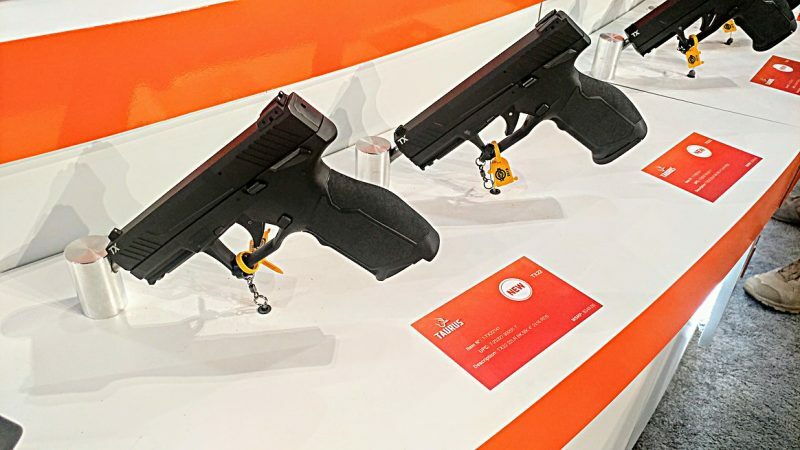 What do you think of these new firearms from Taurus?